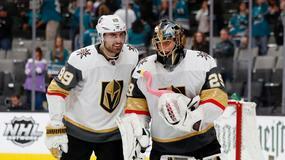 Fleury and the Knights will now host the winner of the Winnipeg Jets-Nashville Predators matchup in the Western Conference Finals. 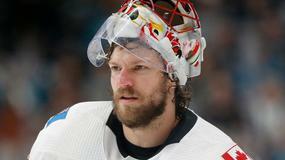 The 33-year-old netminder is up to 4 shutouts this postseason. Fleury finished with 42.4 FanDuel points in Game 6. Hall evened things up at 1-1 close to the mid-way point in the second period and then helped out with the next two goals to give the Devils a lead they never relinquished. The 26-year-old now has 2 goals and 3 assists as the two teams prepare for Game 4 on Wednesday night. Hall scored 39.7 FanDuel points in Game 3 and he's averaging 26.5 FanDuel points per game in the series. 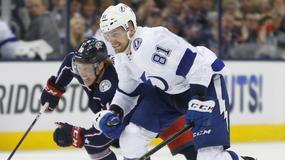 Stamkos missed the final three games of the regular season with a lower-body injury. However, he said that he was good to go after Wednesday's practice, so he should be a full-go as the Lightning host the Devils in Round 1. Our models project Stamkos for 15.3 FanDuel points at a cost of $8,500 on Thursday's slate. Pittsburgh Penguins center Sidney Crosby posted three goals in Wednesday's 7-0 win over the Philadelphia Flyers. In attaining his third career playoff hat trick, Crosby tied the franchise record, held my Mario Lemieux. He put up one goal in the second period before tallying two in the matter of nearly three minutes in the third. Crosby had four shots on goal and a hit in his 16-plus minutes on the ice. For his career, Crosby now has 60 goals and 167 points in 149 postseason games. We give the Penguins a 8.56% chance of three-peating as Stanley Cup champions. Buffalo Sabres center Jack Eichel will return to the lineup Saturday against the Chicago Blackhawks. Eichel's been out since February 10th with a high-ankle sprain. The 21-year-old will resume his place in the first line as he leads the Sabres in nearly all categories this season. On the year, Eichel's accounted for 22 goals, 31 assists and 53 total points in 55 games. Boston Bruins center Patrice Bergeron will miss at least two weeks with a fractured right foot. Bergeron's set to be re-evaluated following the two week period. He was wearing a walking boot on Saturday and played on Sunday, but a secondary scans showed the fracture and the reasoning for his future absence. 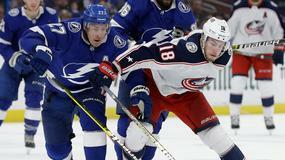 The Bruins will look to rely heavily on new acquisitions like Rick Nash and Brian Gionta. Through 55 games, Bergeron has 27 goals and 27 assists in 1,068 minutes of ice time. Montreal Canadiens defenseman Shea Weber will undergo season-ending surgery to repair a torn tendon in his left foot. It seemed like Weber was working his way back, but he's recently progressed to a point where it was unclear if he would return in 2018. Rehab didn't end up being enough and surgery was the final solution. At 32, Weber is due $15 million over the next five seasons. In 26 games, Weber tallied 6 goals, 10 assists and 659 minutes during the 2017-18 season. Philadelphia Flyers winger Wayne Simmonds will be out 2-to-3 weeks due to an upper-body injury. Simmonds had played in all 59 games to date. His absence has forced the Flyers to call up Oskar Lindblom from the minors. He could make his NHL debut Tuesday against the Montreal Canadiens. Through 59 games and 1,089 minutes, Simmonds has tallied 20 goals, 17 assists and 10 power play goals this season. According to The Athletic's Kevin Kurz, San Jose Sharks center Joe Thornton will out indefinitely after suffering an injury to his MCL on Tuesday night. General manager Doug Wilson said that the team is awaiting MRI results but that they expected the 38-year-old to be out "several weeks." Thornton had undergone surgery this summer for a torn ACL and MCL in his left knee. Through 47 games, Thornton has produced 13 goals and 36 points while averaging 10.7 FanDuel points in 18.3 minutes of ice time. New York Devils goalie Keith Kinkaid will start against the New York Islanders on Tuesday. Kinkaid will step in between the crease for the Devils in place of Cory Schneider, who was ruled out due to illness. The 28-year-old goalie is 5-3-2 this season with a 3.31 goals-against average and .897 save percentage. numberFire's models project Kinkaid to score 13.9 FanDuel points at a cost of $7,300 on Tuesday. New Jersey Devils goalie Cory Schneider will miss Tuesday's game against the New York Islanders because of an illness. Keith Kinkaid will draw the start in place of Schneider, who was originally slated to be in net for the Devils. Consider him questionable for Thursday's matchup with the Washington Capitals. Schneider is 17-9-6 on the year, with a 2.74 goals-against average and 91.5 save percentage (SV%). numberFire's models project Schneider to go 13-10-3 over the remainder of the year while recording a 91.6 SV%. Anaheim Ducks center Ryan Kesler will make his season debut on Wednesday against the Vegas Golden Knights. After undergoing offseason hip surgery, Kesler had yet to play in 2017. At 33, he'll enter his 14th NHL season and fourth with the Ducks. It may take some time for him to get going but he should return to form in the coming weeks. Last season, Kesler turned in 186 shots, 22 goals, 36 assists and 8 power play goals over 1,747 minutes and 82 games. Anaheim Ducks' forward Corey Perry is listed as week-to-week with a lower-body injury. Perry was forced to exit Anaheim's game with Carolina after an awkward collision. It is another in a long line of injuries for the Ducks, who just got Ryan Getzlaf back from a lengthy absence. Perry was averaging 9.5 FanDuel points per game prior to the injury. Pittsburgh Penguins coach Mike Sullivan said that goalie Matt Murray "will be week-to-week with a lower-body injury." Murray went down on Monday. His speculated timetable is two-to-four weeks but that hasn't been confirmed. As for the team's starting goalkeeper, that will be Tristan Jarry with recent call-up Casey DeSmith serving as his backup. Averaging 16.9 FanDuel points per game, Murray is projected for a 21-14-5 record with 3 shutouts and 102 goals against the rest of the season. Toronto Maple Leafs center Auston Matthews will not play Thurday against the New Jersey Devils, according to Sportsnet's Chris Johnston. For Matthews, this will be his fourth straight game he's missed with an upper body ailment. The specifics aren't known but he appears close to making a return to the ice. His next chance to play will be on Saturday against the Montreal Canadiens. Through 16 games, Matthews has 10 goals on 53 shots. He's also averaging 18.9 FanDuel points per game to this point in his second NHL season. Boston Bruins left winger Brad Marchand will not play in either of the team's next two games on Wednesday or Thursday. Marchand had just recently returned to the team after suffering an upper body injury. But it appears that something else has popped up. Whatever it is, the injury will keep him out until at least Saturday. The same goes for fellow winger Anders Bjork, who is dealing with an undisclosed injury himself. Through 14 games, Marchand is averaging 15.9 FanDuel points across 21.5 minutes of ice time per game. He ranks third among all forwards in our rest-of-season fantasy ranks. Boston Bruins left winger Brad Marchand will return to the team on Friday in Toronto. With Bruins set to take on the Toronto Maple Leafs, Marchand will play in his first game since Saturday. He was dealing with an upper body injury, but he's now healthy enough to play and will work side-by-side with Patrice Bergeron and David Pasrnak. Through 12 games, Marchand has managed 28 shots, 8 goals and 6 assists across 257 minutes of ice time.